Flooding which brought chaos to Britain and saw thousands of people evacuated from their homes may have been avoided if the Government had not cancelled hundreds of defence schemes. Hundreds of families are spending the night in Red Cross Shelters after Storm Desmond brought record levels of rainfall to the North of England and Scotland, causing already swollen rivers to burst their banks, deluging towns, flooding 2,000 properties and leaving 60,000 homes without power. In Cumbria water rose to first floor windows and the army was mobilised to rescue trapped householders as David Cameron convened Cobra to deal with the growing crisis. 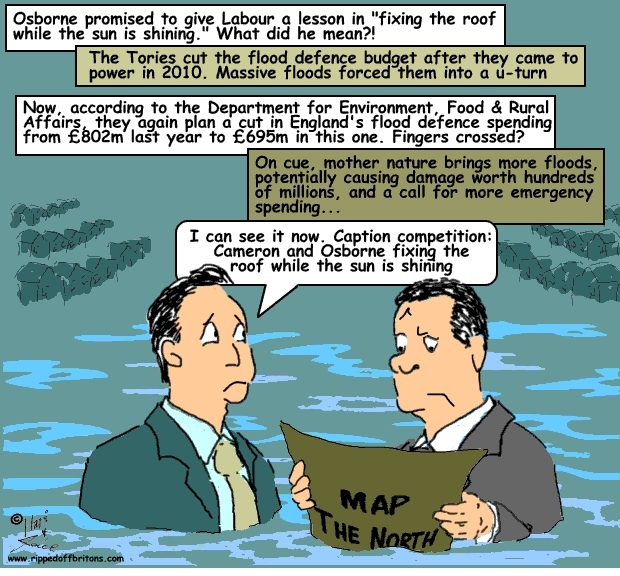 Lib Dem leader Tim Farron, whose constituency Westmoreland and Lonsdale was severely affected by flooding said that the situation had been made worse because nearly 300 flood defence schemes had been dubbed "low priority" and shelved in recent years. They included a plan for the River Kent in Kendal, where an elderly man is feared drowned. Unprecedented levels of rain has fallen on Britain over the weekend, with rivers across the North of England reaching record heights and Honister in Cumbria recording 13.4 inches of rain in 24 hours, the most rain to ever fall over a 24 hour period. The River Eden in Carlisle reached 20.3 feet, nearly five foot higher than previous records. You have a great blog about this West Palm Beach Roof Installation topic. I would think your readership is very high? well at ewmacdowellroofing.com there is no need to worry about your roof they will fixed it even rain and shine.